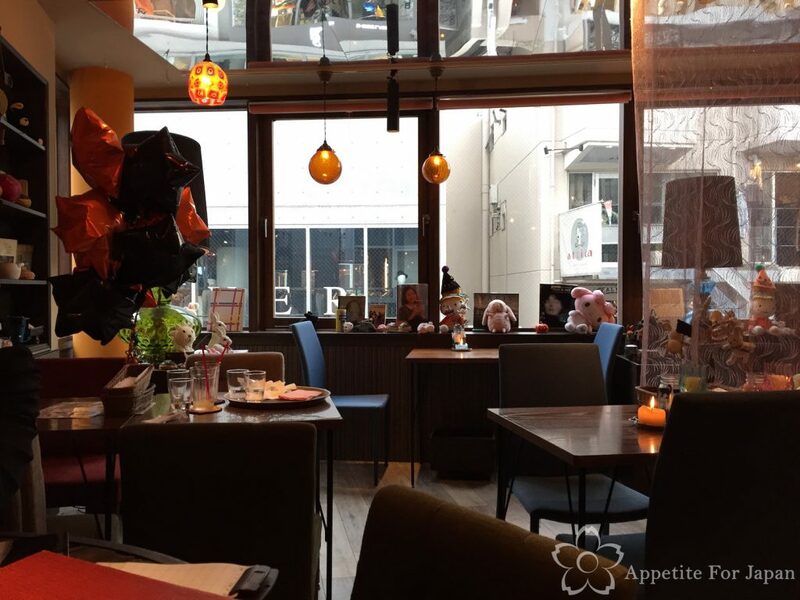 Yes, this is a public service announcement – Nicolas House closed its doors in December 2016. 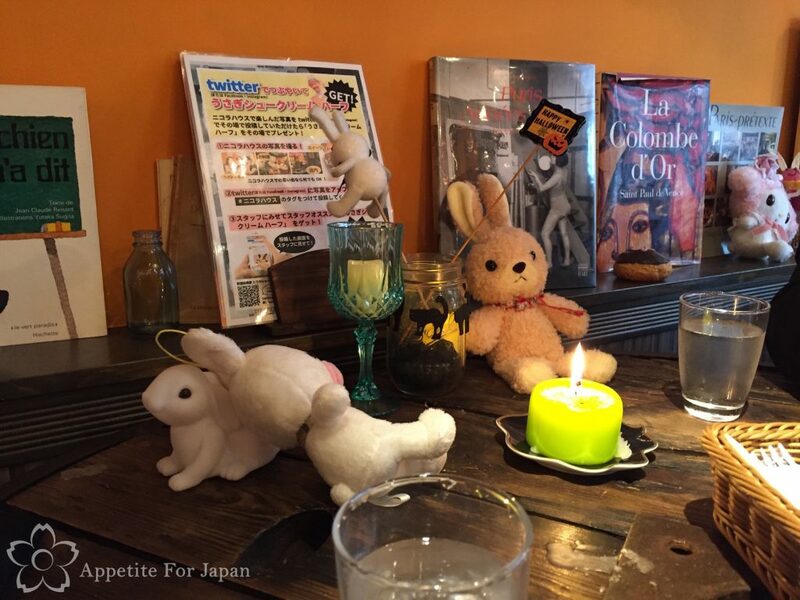 Nicolas House was a rabbit themed cafe in Harajuku, just near Omotesando, owned by French chef Nicholas Charles, who has lived in Japan for more than a few years and has an obsession with bunnies. 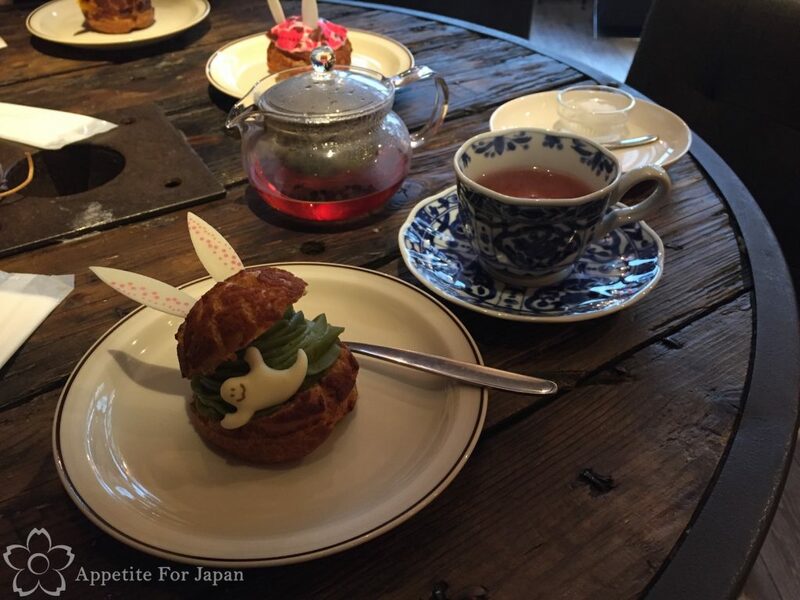 We stopped by Nicholas House one afternoon for some tea and rabbit inspired profiteroles (more commonly known as choux pastries or cream puffs in Japan). 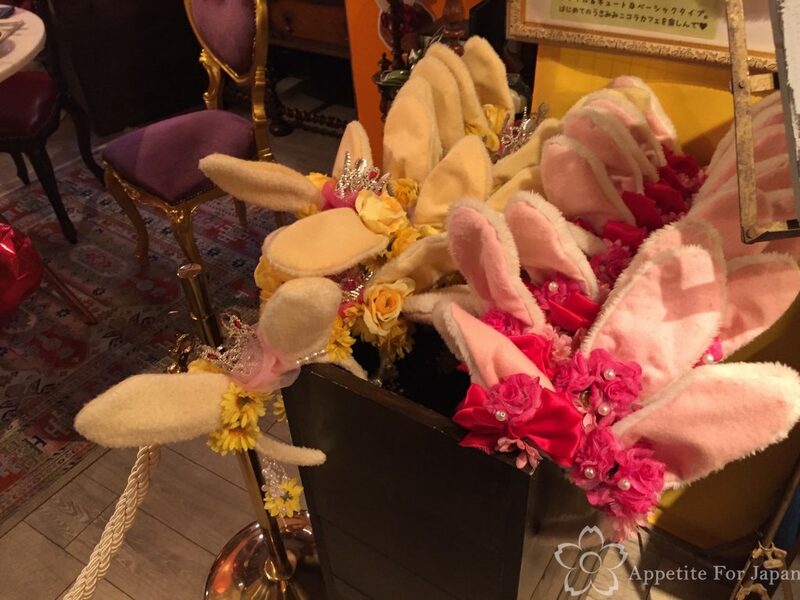 Before being shown to our table, we were given bunny ears to wear for the duration of our meal. 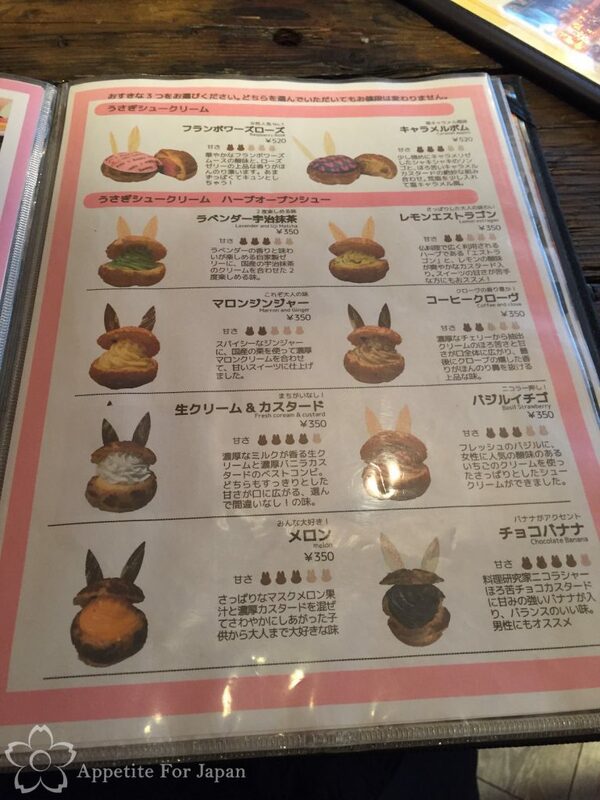 And this being Japan, there was a system behind the bunny ears. 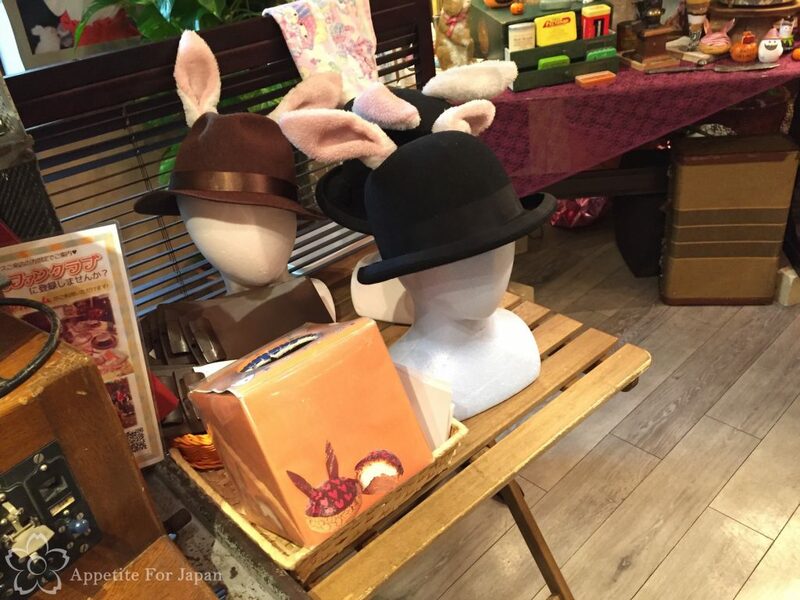 Each time you visited Nicholas House, you would be upgraded to a fancier pair of rabbit ears. There were four levels of membership to move through. 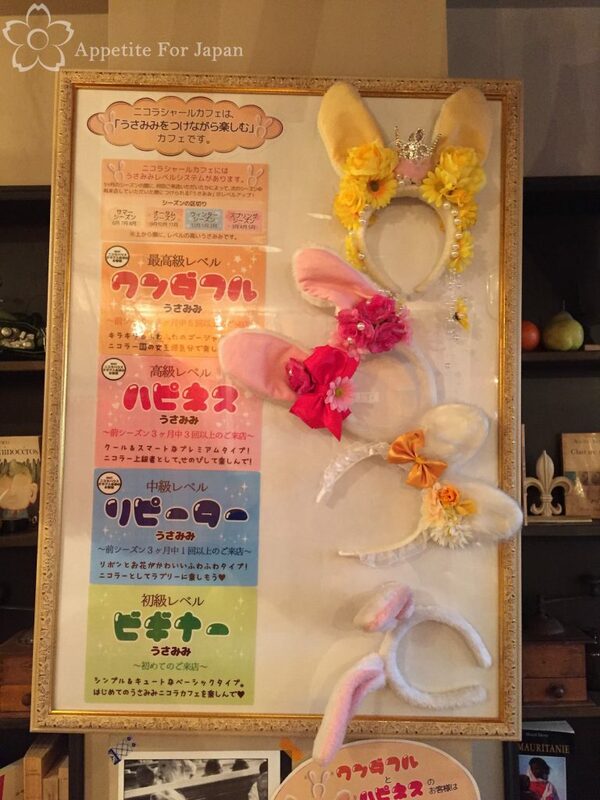 Having been to Tokyo Disney Resort so many times, sitting around wearing a headband with ears on it seems almost normal to me (albeit this time we were wearing rabbit ears, not Mickey Mouse ears). 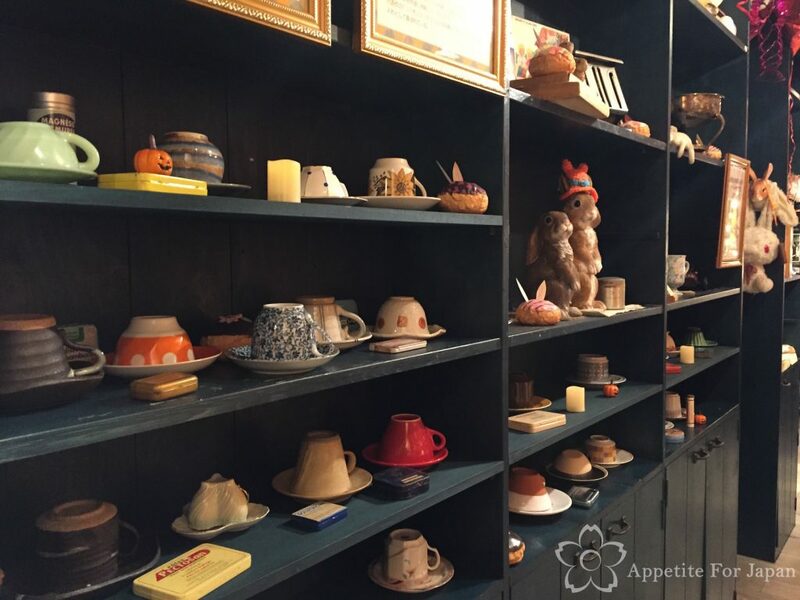 Inside Nicholas House, the decor is different to what we had come to expect from themed cafes. 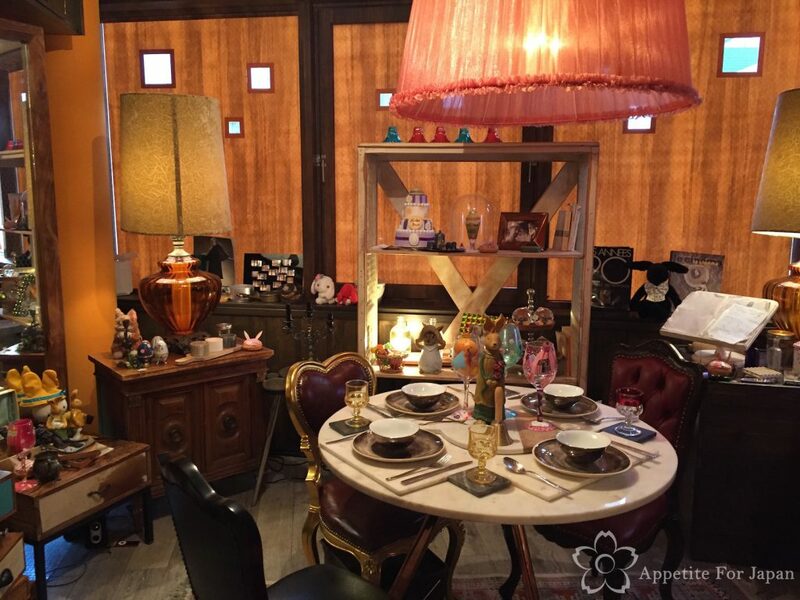 The furniture comprised old pieces, second-hand books in various languages could be found on shelves and by the tables, and a combination of fake food (mostly replica Nicholas House bunny parfaits and cream puffs) and soft toy rabbits were all over the place. 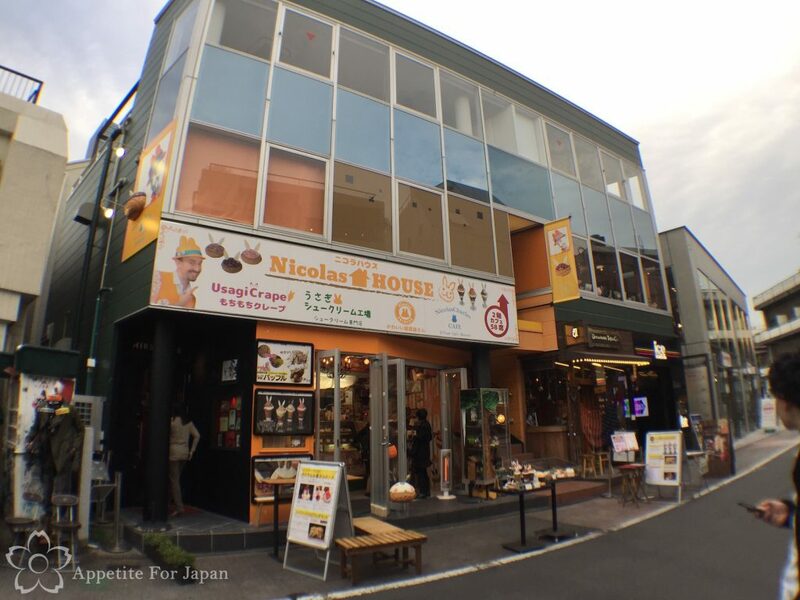 On the one hand, I thought it was cool that Nicholas House was a bit quirkier and more personalised than a lot of the overly commercial themed cafes out there. On the other hand, my partner felt it was a bit creepy. 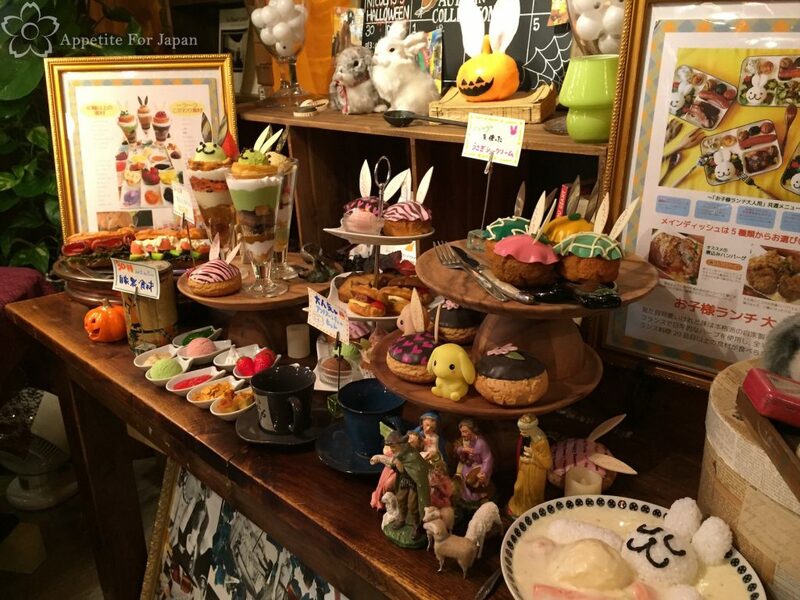 Either way, it was nice to be able to walk straight in and get a table in a themed cafe that wasn’t crowded! They also had a nice selection of herbal teas. 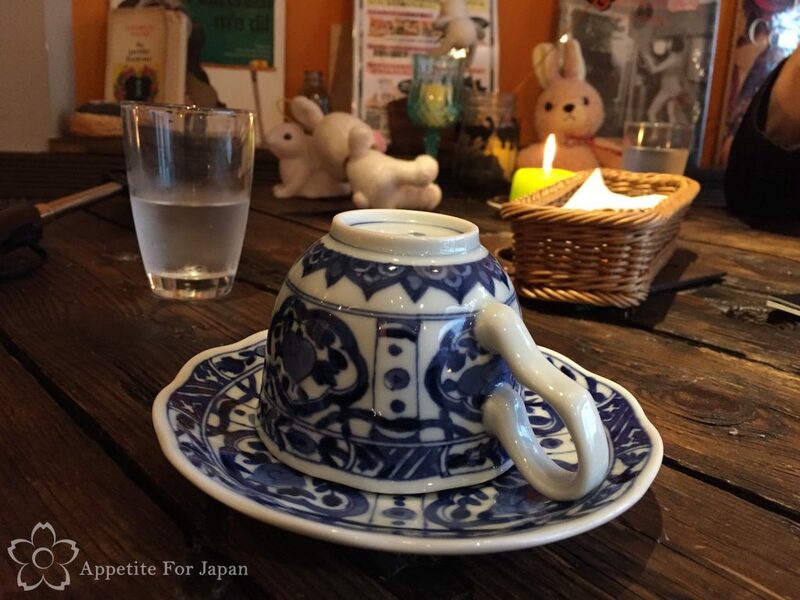 I ordered a hibiscus tea, and was led to a collection of cups and saucers to select my tea cup of my choice. 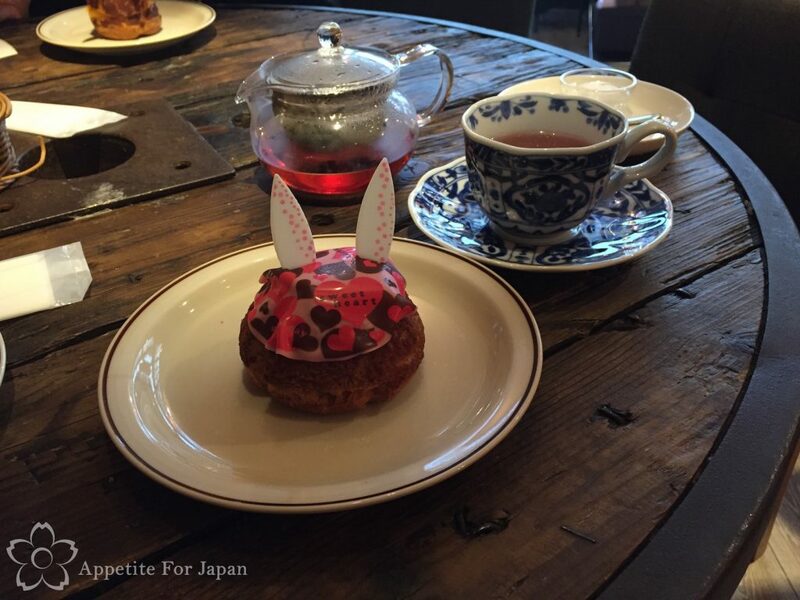 Above: Lavender & matcha bunny choux pastry. 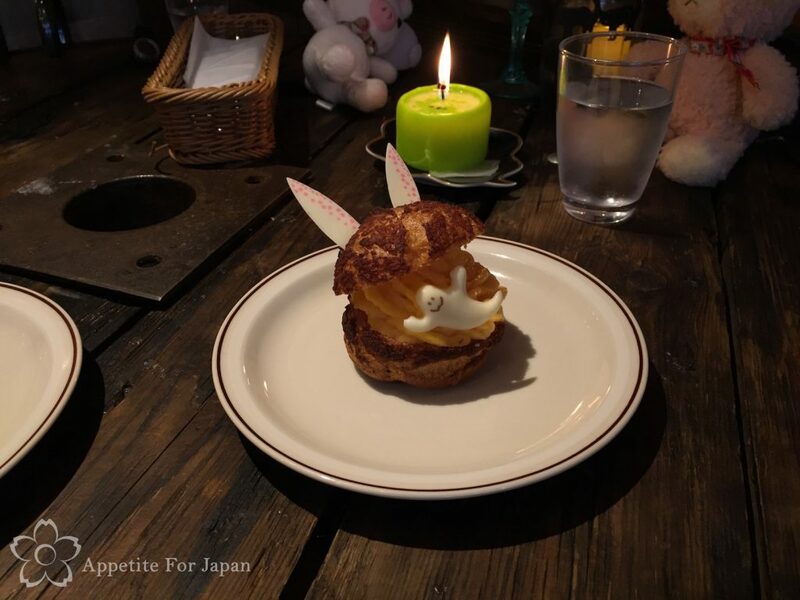 Above: Kawaii raspberry bunny cream puff. 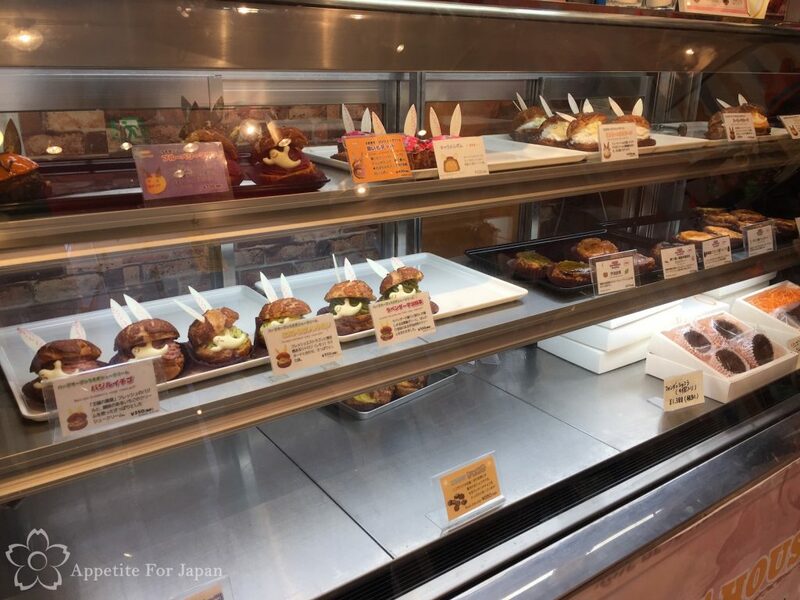 Whilst the cafe was located upstairs, there was also a store at street level for anyone wanting to buy a rabbit cream puff take-away (take-out, for my American readers). Payments for eating in were also made downstairs at the shop, and it was cash-only. 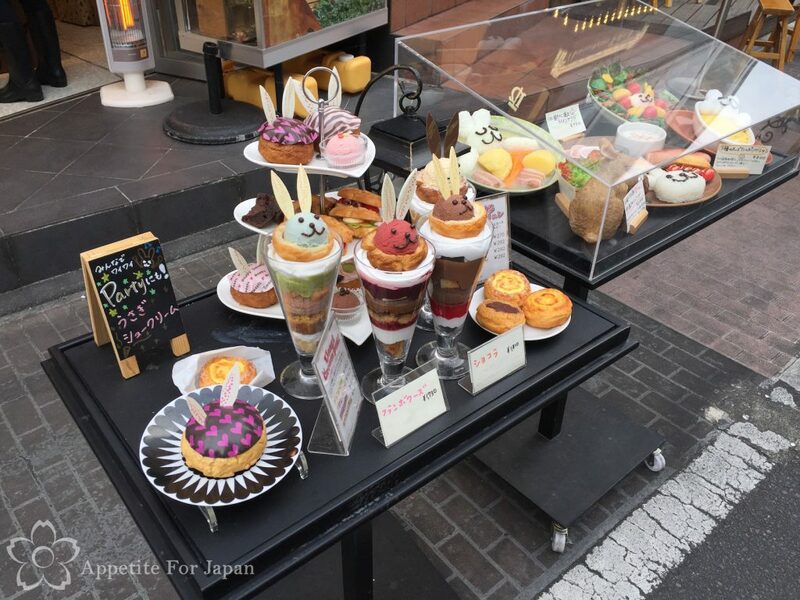 Above: Outside, fake food displays showed the kawaii parfaits and cute rabbit choux pastries. 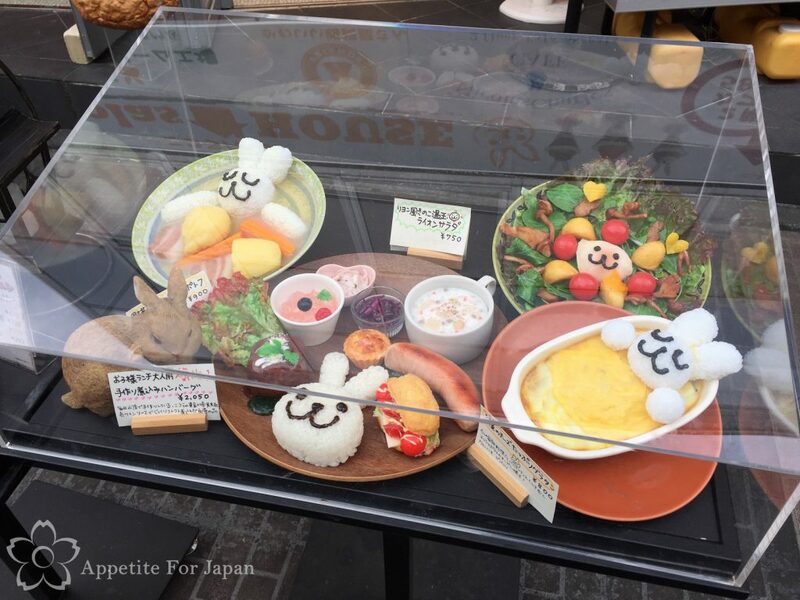 Above: And of course, there were also fake food displays of the savoury meals that Nicholas House sold. I was sorry to hear that Nicholas House closed in late 2016. 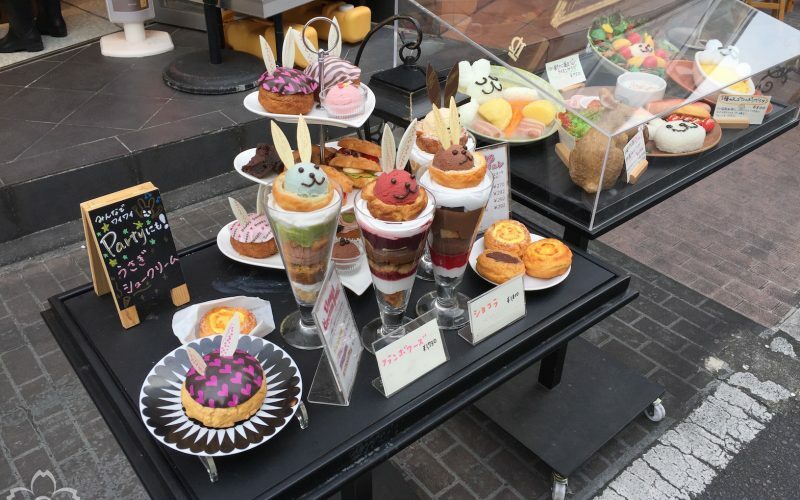 It looked like there just weren’t enough customers to sustain the cafe, and it’s a shame that he wasn’t able to just run a take-out store selling the rabbit parfaits and cream puffs instead.